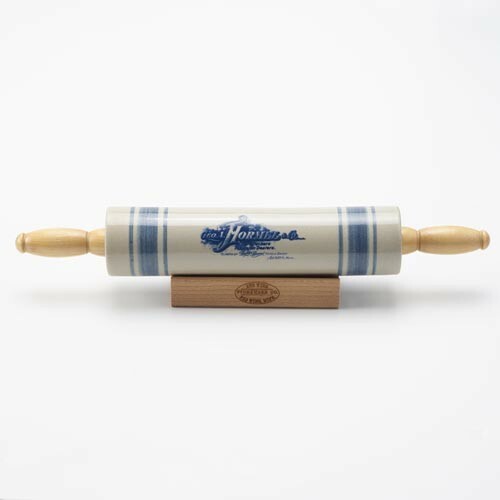 THE OFFICIAL RED WING STONEWARE ROLLING PIN WITH WOODEN HANDLES. IT FEATURES THE 1906 HORMEL IMAGE FROM LETTERHEAD. THESE ARE NUMBERED WITH A LIMITED PRODUCTION OF 1000. WOOD STAND SOLD SEPARATELY #7630.